The home inspector points out a problem to the buyer during the inspection. You’ve just got an offer accepted on a home and now the hard work really begins. 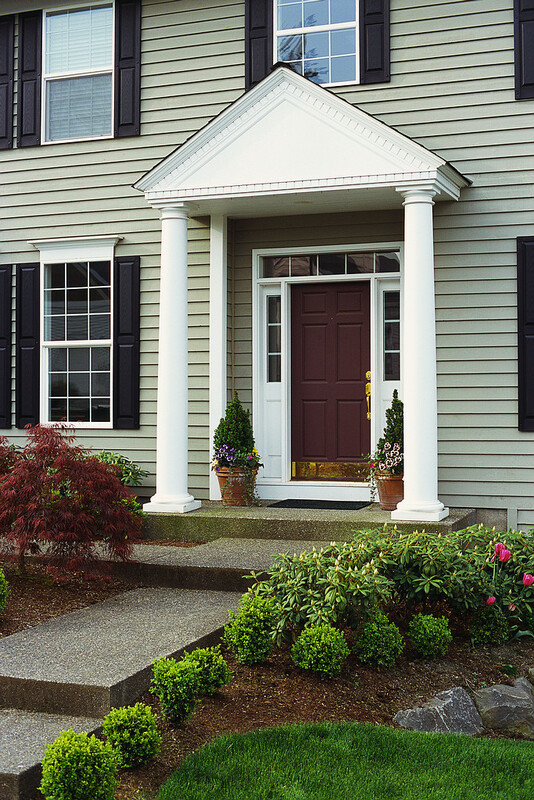 It’s time for your buyer’s inspections to determine if this really is the right home for you. It would be nice to depend on the seller for all this information. But the fact of the matter is, most sellers can’t recall everything that has happened in their home over the years. And quite often homeowners get used to the funny quirks of their house and don’t even notice them anymore. And sometimes sellers are not aware of issues that exist, and wouldn’t be able to disclose them anyway. 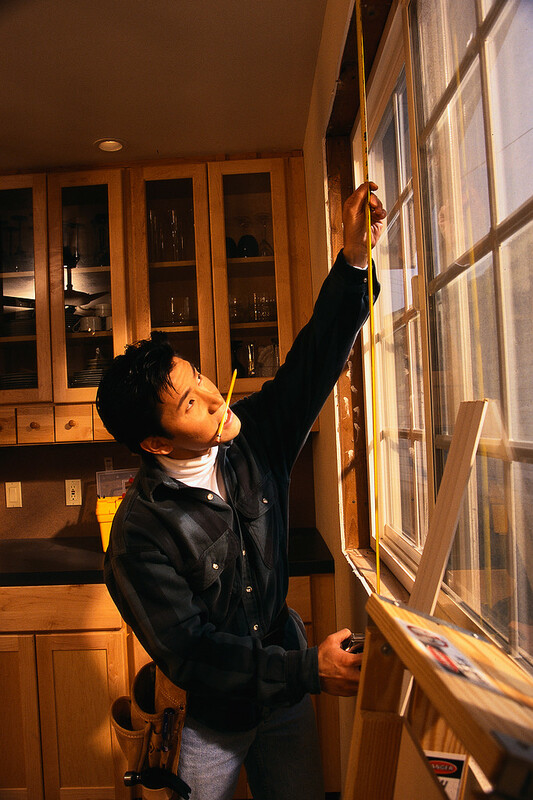 Therefore, it’s crucial to hire the right inspectors to assess the home’s condition. Keep in mind, inspectors can’t always find everything. If the roof needs repair and it hasn’t rained in years, the inspector is probably not going to detect it. But if it rained recently and they can detect elevated moisture, then you are on track to discovering a potential needed repair. Buyer’s inspections run the gamut. I will provide you with a pretty comprehensive list below, but it’s always important to start with the general home inspection. The home inspector will give you an overview of the home and then indicate where there may be a need for additional inspections or experts. The home inspector will look at the foundation, roof, plumbing, electric, appliances, water fixtures, doors, windows, and general condition. They will report any discrepancies or issues that they see. The home inspector is a generalist however. If they think there is an issue with the roof or some cracks in the walls look suspect, they will make a note of it and then recommend that you bring in a roofer or foundation inspector, respectively. When I am working with a buyer, the buyer’s inspections that I always recommend, at the bare minimum, are the home inspection, mold inspection, and termite inspection. 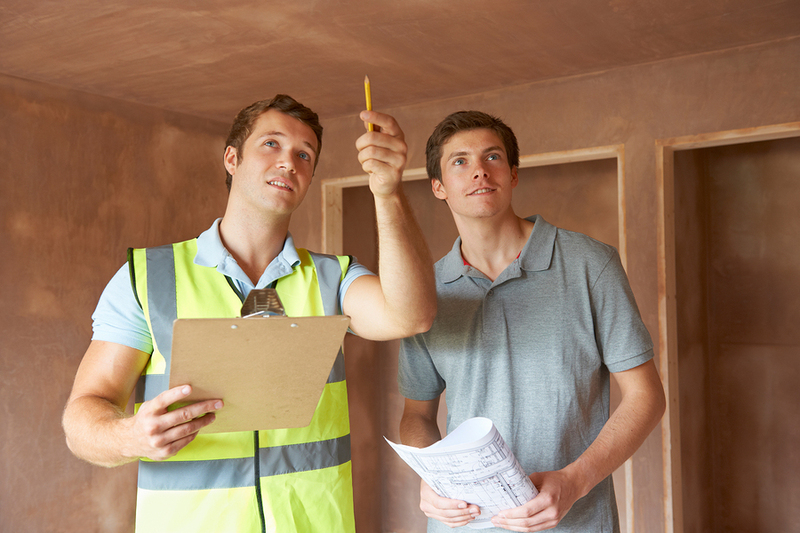 As I stated above, the home inspector will give a good general overview of the home. A mold inspector will focus on moisture elevation, water leaks, and well… mold. The mold inspection is so crucial because leaks often occur that no one is aware of. Left unattended, water can lead to wood damage and mold which of course carries health concerns with it. The termite inspection is also a smart move. As the buyer, you want to know about any dry rot, wood damage, and termite infestation. It’s so much easier to tent a house for fumigation before you move in. Termite repairs, as all repairs, can be negotiated with the seller. If it’s an older home with mature trees, then I also suggest a sewer line inspection. Quite often tree branches penetrate the sewer line because they are searching for water. They can cause quite a bit of damage and can be costly. Schedule your buyer’s inspections on the same day with some overlap in time. You want to be able to speak with each inspector separately, but it’s also a great idea to have the inspectors at the property at the same time so they can share information. I find problem solving more effective when different experts can share their perspectives. Recently, I had a client who was buying a house in the Hollywood Rivieria in Torrance, CA. The inspectors detected a high level of moisture all along the base of an exterior wall within an enclosed patio. Each of the inspectors had a theory on where the moisture was coming from. There was no nearby plumbing and the crawl space underneath the house was dry. Getting to the bottom of this mystery was important in order for my clients to know if it was a singular incident or an ongoing problem that could prove to be expensive to correct. In this instance, we ended up bringing in a water intrusion specialist. He determined that the dark stains on the floor were probably from potted plants that had sat under the windows even before the patio was enclosed eons ago. 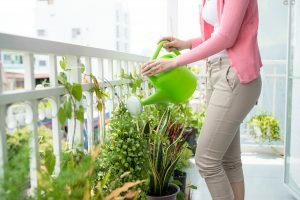 Woman watering plants on her patio can accidentally cause elevated moisture and water damage to structure. These plants had probably been overwatered causing the dampness and elevated moisture. The deceased owner’s children confirmed this when they disclosed that their mother kept plants under the windows as long as they could remember – even when they were kids and the patio was an outside space. 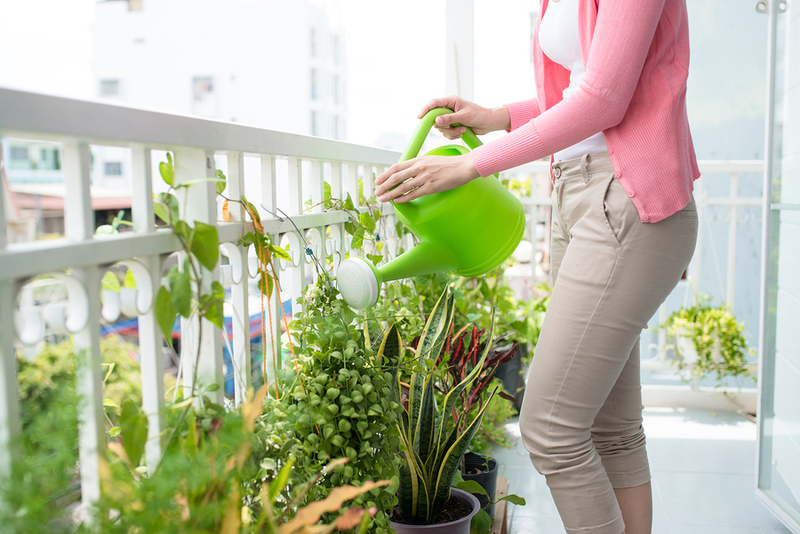 They also mentioned that they had asked their mom’s aide to stop overwatering the plants only a few weeks prior. Mystery solved! My clients could move forward knowing that there wasn’t a moisture issue to contend with. Not all inspections will apply to every property and some will only come up if there are red flags on the home inspection. But it’s a good idea to know what type of inspections are available and what information you want to gather when buying a home. 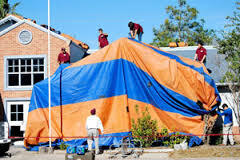 Tenting a home for fumigation can cost a couple thousand dollars depending on the home’s cubic feet. In southern California where the majority of Realtors use CAR’s residential purchase agreement to make an offer, there have been a number of changes to the contract for 2015. (CAR = California Association of Realtors). One of the biggest changes – which could potentially restructure how buyers and sellers negotiate – is the removal of the WPA form. WPA stands for Wood Destroying Pest Inspection. It’s basically the form buyers includes with their offer that stipulates that sellers will pay for a termite report as well as any Section 1 items identified on that report. Section 1 items must be fixed prior to the close of escrow (lender requirements) and usually include termite infestation and dry rot among other things. These two are usually the big ticket items. And although these points are negotiable (as is everything in the contract), it was standard practice for sellers to pay for Section 1 items. This was handled up front with the offer. Sellers accepted the fact that this was a standard expense to selling a home. Then when buyers come back with a Request for Repairs, all repairs would be over and above the termite work. But in 2015, the WPA has been eliminated. Potentially, buyers can still request termite work up front in the offer. And this will probably happen for some time to come. Eventually, however, the process will evolve and termite work will become part of the negotiations for repairs. The biggest impact from this change is that sellers won’t automatically feel it’s their responsibility to do the termite work, i.e. tent their home for infestation, replace rotted wood with fresh wood. And sellers can simply say they won’t do the work. Of course, they will be more apt to do the work in a buyers’ market and probably less willing in a sellers’ market. These can be expensive repairs and buyers may have to get used to incurring this expense as time goes on. When making your strongest offer on a property, there are other things to consider other than price. First, you should know what’s important to the seller. Maybe the seller has some specific needs that not every buyer can meet. But if you can craft you offer to meet their needs at the beginning, you stand a better chance of getting your offer accepted. Second, there are plenty of terms in the purchase contract, making may different opportunities to make your offer stand out from the rest. You can shorten your escrow period, making it a quick transaction. You can shorten or eliminate contingencies. Contingencies are a buyer’s “outs”. You can cancel the contract based on several contingencies including a loan contingency, appraisal contingency, investigations contingency, preliminary title contingency, and so on. If you are making an aggressive offer and you suspect you will be paying more than market value, you may want to consider eliminating your appraisal contingency. In this way, the seller doesn’t have to be afraid that the home won’t appraise and you will walk away from the deal. Of course, you have to be prepared to come out-or-pocket for the additional cost. You can shorten the time period for your investigations and other contingencies. 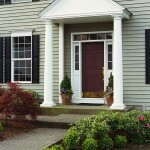 In a buyer’s market, sellers are often more apt to pay for some of the buyers’ closing costs. Well in a sellers market, a buyer can do the same thing. If you pick up some of the seller’s expenses, you increase their bottom line, making your offer stronger. Sometimes a buyer is not even able to increase the purchase price due loan restrictions, but if he has extra cash, he can pay for some closing costs and possibly win the bidding war. You don’t need to ask the seller to do termite work. A buyer can take this on themselves at their own discretion. It’s a good idea, however, to still get the termite report in order to determine how much work is needed and what it will cost. The list can go and, and I’m happy to go over your options with you. Last, it’s always a good idea to impress upon the seller that you are a motivated buyer to will move quickly with the intent to close. By preparing a complete offer package with all financials, by putting your lender in contact with the listing agent, by giving the seller as much information as possible, and responding in a timely manner will assure the seller that you will be a good partner in the transaction. Termite inspections are usually paid for by the seller. And typically the seller pays for Section 1 items and the buyer pays for Section 2 items. This will all be clarified in the purchase contract (RPA) and the Wood Destroying Pest Addendum (WPA). Don’t assume this is how it’s going to be… make sure you deal with this in your negotiations! Section 1 items are any repairs or treatments that are required in order to get a clearance from the termite company. Examples of Section 1 items are fumigation, spraying, and replacing rotted wood. Section 2 items are those things that do not currently pose a problem but could be a problem in the future. You can consider Section 2 items precautionary measures. For instance, the termite report might indicate that the soil is too high up on the exterior wall of the house. There’s no current problem, but this could lead to dry rot down the road. Last week, a client of mine had a home inspection for a town home in North Redondo, and the home inspector cited termites in the fence between the property and the neighboring property. The inspector made note of it and suggested any further investigations be taken up with the termite company. However, the termite report didn’t make mention of any termites in the fence. 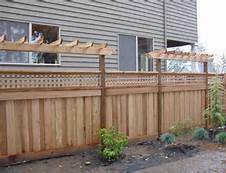 Fences that appear to be on property lines are never included in termite reports because the termite company has no way of knowing who owns or who has responsibility for the fence. Fences are neither Section 1 or Section 2 items. The termite company also explained that it’s not cost effective to chemically treat a fence for termites. You’re better off taking the money and putting it toward replacing wooden boards. Real Estate Advice: I’ve been waiting a week for my prequal letter. Normal? It sounds like you’re actually getting a preapproval letter and not a simple prequalification letter. The prequal letter can be done relatively quickly – you could have this within the hour if the lender gets to it right away. It’s a cursory look at your numbers without an underwriter looking at all your financials. It’s not as reliable as a preapproval. For example, I had a listing a few months ago in which a buyer submitted a prequal letter from Bank of America. I spoke to the lender and he confirmed that the buyer could get the loan. But it turned out that when she eventually handed in all her financial documentation she was, in fact, not qualified for the loan. The initial prequal process involved the lender simply asking her a few questions. He took her at her word and provided her with the letter. The deal ended up falling through because she didn’t go through the preapproval process up front and she was poorly prequalified. In order to get a preapproval letter, you need to submit all your information which is then sent through the underwriting system. This can definitely take a week. However, the difference is that the preapproval letter is stating that you are pre-approved for the loan. This letter holds more weight with sellers so it’s more valuable to you. I would suggest that you call the lender and ask them explain to you exactly what their process is. Ask them to clarify if you will be getting a prequal or a preapproval. Ask them if your file is with an underwriter. If it’s with the underwriter, then try to hang in there a little longer. By the way, if you’re not happy with the customer service you’re getting from your lender or you don’t feel like your lender has built a good rapport with you, you don’t have any obligation to work with them. You can always use the preapproval letter, and still get a loan from a different lender. You are free to shop rates. You should feel comfortable with the lender you are working with. Make sure they communicate well with you because this is crucial during a real estate transaction. Also, if you do decide to talk to another lender, I suggest you get a copy of your credit report from the first lender. They are supposed to send you a copy of it, but if for some reason you don’t receive it, just ask and they will send it to you. You can then give a copy of this credit report to other lenders so that they don’t need to pull your credit again. The credit bureaus are not supposed to penalize you for pulling your credit multiple times within a 30 day period (I believe) when you’re shopping lenders, but if you can avoid it altogether, I would. Real Estate Advice: When I sell my house can I be responsible for code deficiencies that existed before I purchased? No, you will not necessarily be responsible for deficiencies in codes or permits. You should disclose everything you know about the problems or lack of permits. If you don’t tell the buyer, then you could be liable for fraud. If you do disclose, then it will be up to the buyers to decide if they are willing to purchase the property as is, and do any necessary repairs, etc. themselves.The buyer can always ask for you to do the work, but you can refuse. As long as the buyer is aware of the problem, then they are moving forward in the transaction with their eyes wide open. On the other hand, if your property is not selling due to the deficiences, then you may want to consider rectifying the problems yourself in order to sell it. And sometimes certain lenders will not give financing on a property that has permit/code problems. FHA is one of those lenders. So if buyers can’t get financing, then you need an all cash buyer or you may want to fix the problems or pull the permits in order to sell. Real Estate Advice: Do I Make an Offer on an Overpriced Listing? It never hurts to put an offer in. And you won’t know unless you try. Yes, the sellers may be unrealistic and they probably have a strong emotional attachment to their home; the home does hold a lot of value to them. But the good news is that with an overpriced home, you, the buyer, should have very little competition. First, you should look at how long the property has been on the market and have there been any price reductions. If it’s new on the market, then the seller my be less likely to negotiate. But if it’s an old listing, it may be a good time to make an aggressive offer. Your agent should have a conversation with the listing agent to guage the sellers’ position. Then you should put together an offer and submit the comps that substantiates your number. The worst thing that can happen is the seller says no. And even then, I wouldn’t give up. If the property is still on the market in a few weeks or months, I would approach the agent again to see if the seller has any change of heart. I’ve had buyers in both scenarios. I had a client last summer who fell in love with a condo but the sellers were priced way above market. We kept going back to the seller and after a couple of months, we were able to come to a number that satisfied both buyer and seller. The property appraised at the sales price and all parties were happy. Then I had another buyer a few months later who wanted to make an offer on a home but the seller had unreasonably priced the home. It was priced even higher than the new construction that was on the market. The listing agent let me present the offer to the seller in person. And even though we had the comps to justify the offer price, and even though the listing agent was on our side, and even though the seller agreed that the market was down, she was adamant that her home was worth the asking price and she wouldn’t budge. And you know what happened? My client walked away with no regrets and the seller eventually took the home off the market. If both the homes are in nearby neighborhoods and you can find an agent who has a strong knowledge of both markets, then yes, you should absolutely use the same agent. Working with one agent will make it much easier to coordinate the process especially since you have to sell your home in order to get the money to buy a new one. There are a lot of details to consider and it’s much easier if one agent is managing everything so that nothing falls through the cracks. Now, the type of market you’re in will determine the best way to approach your sale and purchase. And what I mean by this is that if you’re in a seller’s market where there is low inventory and high demand (buyers competing over properties) then you may have a tough time getting your offer accepted if it’s contingent on selling your home. The seller will compare your offer to another offer that is not contingent; it will be an easy decision because the other buyer promises an easier transaction with fewer potential hurdles and hangups. On the other hand, if buyers are in control in your local market – there’s a lot of inventory, and little demand – then a seller may be more willing to accept your contingent offer and patiently wait while you get your house on the market and sell it. If the seller does not accept your offer and you still want to move (and you are in a seller’s market), then I would get your house on the market and sell your house contingent on you finding a new upleg. If the bank does not approve the contract, and submits a counter, and the buyer subsequently walks, then the seller will not necessarily have to relist the property. Once the current contract is canceled, the seller can accept the new offer and it will be submitted to the bank for approval. The good news is that at this point, the listing agent should know what terms are required to get an approval from the bank. And you can submit your offer with those terms in place, if both you and the seller agree to them. From this point forward what happens will really depend on who the lender is. Some lenders will be able to approve the short sale relatively quickly because the “investors” have already stipulated their terms and they are already far along in the short sale process. However, some lenders start from the beginning because it’s a new buyer. Your agent should be able to ask these questions of the listing agent so that you will know what to expect.